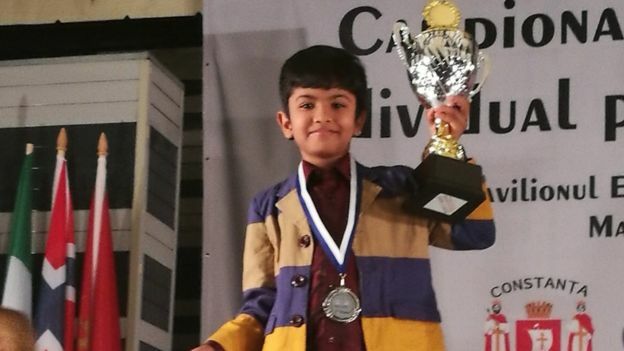 Nine-year-old chess prodigy Shreyas Royal and his family have been allowed to stay in the UK. 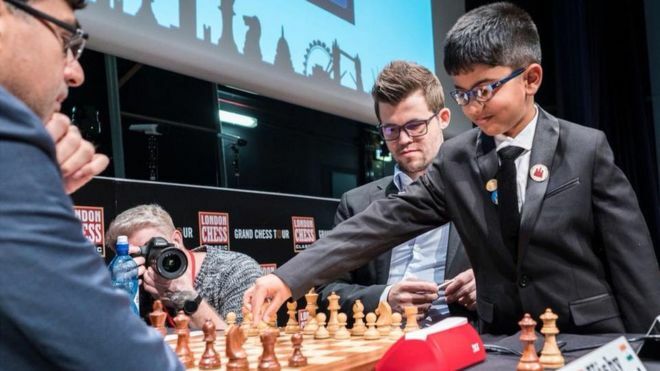 Home Secretary Sajid Javid said he took the "personal decision" as Shreyas is "one of the most gifted chess players in his generation". Shreyas Royal has lived in Britain since he was three years old. His family was told they would have to return to India when his father's work visa expired in September, but they can now stay under a new work visa. Jitendra Singh, Shreyas's father, received an email from the Home Office on Friday informing him of their decision. He told the BBC the family was "very happy and relieved" and that Shreyas "started jumping on the sofa" upon hearing the news. Shreyas said: "I was jumping here and there and dancing. I was really happy today. 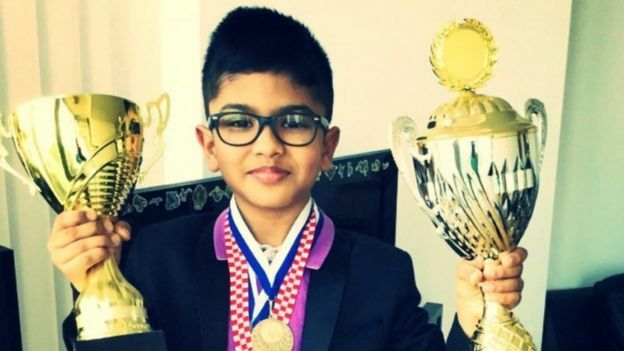 "I want to be the best at it and become the world chess champion at the age of 18." Mr Singh's five-year work visa was due to expire next month and he had been told it could not be extended unless he earned £120,000 a year, which he does not. The home secretary said: "After carefully reviewing the evidence, I have taken the personal decision to allow Shreyas and his family to stay in the UK. "The UK is a country that fosters world class talent and Shreyas is one of the most gifted chess players in his generation. "We have always been clear we want a world-class immigration system that welcomes highly-talented individuals from across the globe."